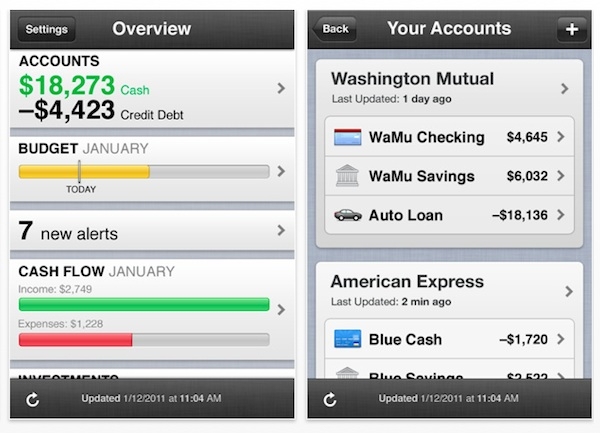 "Mint.com has upgraded its iPhone app to free users from the tyranny of needing a desktop computer to organize their finances-but it is leaving users of older iOS operating systems behind." The Mint app is handy, but I don't rely solely on it for my financial information since the updates routed through this app from the bank or credit card company have always been a bit delayed. But it does work well for friendly reminders on due dates for bills, balance checks, and budgeting. Now with this update you don't even need a desktop to manage the information or to sign up for the service. However, you will also need to drop your old beat up iOS 3.x software to use it.